This General Health Insurance Company of Wisconsin Health Insurance Company Review looks at Milwaukee-based AIG American General Insurance Company. Our research shows that AIG American General no longer offers health insurance programs to its customers. Parent company AIG decided to focus on property & casualty insurance lines as a result of the global economic downturn that began in 2008. Take a moment out of your busy day to request free health insurance quotes to save you money on health insurance rates — type in your zip code to request free information now! Then continue reading about the American General Life and Accident Insurance Company. Determine if the company’s portfolio of health and accident insurance lines matches your health insurance needs and goals. For that reason, residents of Wisconsin may want to evaluate the health and accident insurance products and services of American General Life and Accident Insurance Company. American General doesn’t have a local office in Wisconsin, though the company maintains an active field sales force in the state. The American General Life and Accident Insurance Company has grown through acquisition since 1945, when the company acquired Seaboard Life Insurance. In 1967, the company acquired a majority interest in life insurance company VALIC. A year later, the company acquired Life & Casualty of Tennessee. In 1982, the company acquired Credit Thrift Financial and National Life & Accident Insurance Company. The following year, General Finance was purchased by the company. In 1984, the firm purchased Gulf United Insurance. In 1989, Manufacturer Hanover (a former major money center bank in New York City) sold the company its consumer finance company. In 1994, the company acquired a 40% stake in Western National. In 1995, acquisitions of Franklin Life, Independent Insurance Group, and the remainder purchase of Western National occurred. In 1998, the company acquired well-known U.S. Life. Similarly, critical illness coverage can help individuals and families offset the financial challenges resulting from the onset of critical illness, including illnesses such as stroke, heart attack, or cancer. When the diagnosis of a critical illness is made, the insured submits a claim against the critical illness insurance benefit. The insured receives a check for the determined benefit amount. The policy assists living patients when they most need the assistance. The insured may use the cash benefit of the policy to make health care payments, or use the money towards anything. Disability insurance assists insured individuals with a monthly payment benefit when an accident or illness prevents them from returning to work. The insured receives income benefits for 3, 6, 12, or 24-month terms. The income benefit amount ranges from $500 to $5,000 each month. 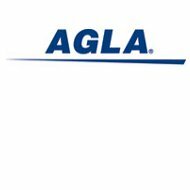 Employees of companies offering AGLA’s health insurance products and services may elect to pay premiums through automatic payroll deduction. Consult your health insurance agent for a review of employer or direct purchase health insurance benefits plans offered by the company. According to the company’s website, American General Life and Accident Insurance Company insure approximately 13 million customers. The company paid out $34 billion in policies in the past five years. Customer service is an essential component to maintaining sound client relationships, according to the company website. Customers may contact the company’s toll-free number for customer service, questions, or to initiate a new claim. Alternatively, customers may sign up for the “eService” feature for online self-service any time of the day or night. Customers may download claims forms or access policy information at their convenience. Any time the customer needs to review or change a policy, they may do so quickly and easily using the customer eService portal. Request free health insurance quotes by providing your home zip code for fast money-saving information!